Aimee was planned and I remember I couldn't sleep the last few days before she came home, I was so damn excited, I also kept it a secret from Facebook, etc so that was killing me too. Ordered my first puppy toy! DH and then gently walked me over to the 5 crates we have of dog toys and suggested I maybe not buy more, lol. No, no, you can never have enough dog toys!!!! I agree, she needs at least one welcoming home toy! Every puppy needs a fresh, new toy! Here's Brooks with his in the hotel room near SEATAC airport in Seattle. Oh my gosh that is the video I needed today. 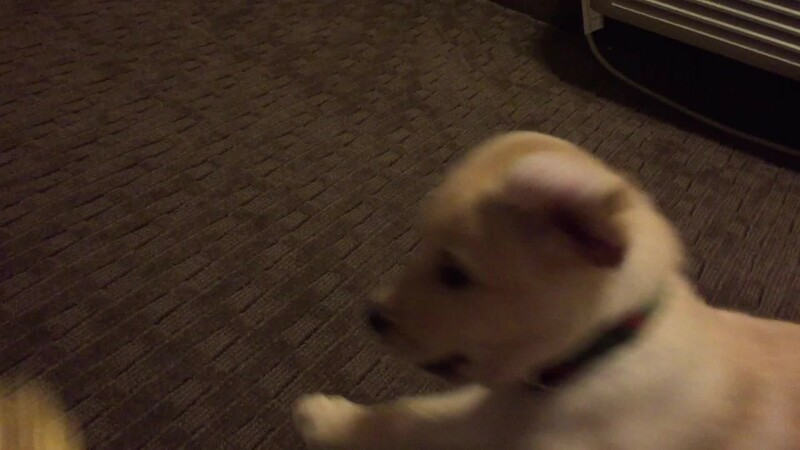 Those ferocious puppy growls!! !